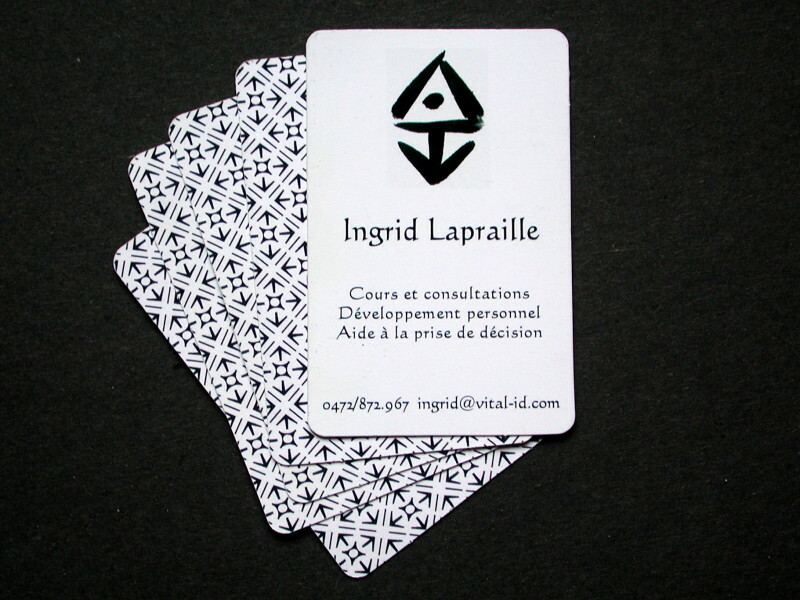 Thanks to horsemanship and tarot, Ingrid Lapraille gives classes and consultancy for people in search of well-being. Through a company called Vital.id, she proposes these two different approaches to find your true self. Ingrid thus came to me to develop the graphic communication around this project. I can’t describe the excitement I had in creating the logo. The idea of a graphic sign, timeless, organic and feminine imposed itself as an evidence. The goal was to share the spirit and philosophy behind her project rather than describe the factual elements to achieve it. Her logo had to be like a signature, always, and at the same time, never the same. A representation of her identity/being. Her ideograma. The business card, a teaser. It’s quite natural for a tarologist to spread and read cards. The purpose of the website is to describe her company’s activities and so, the look of it naturally derived from the style imposed by the logo. 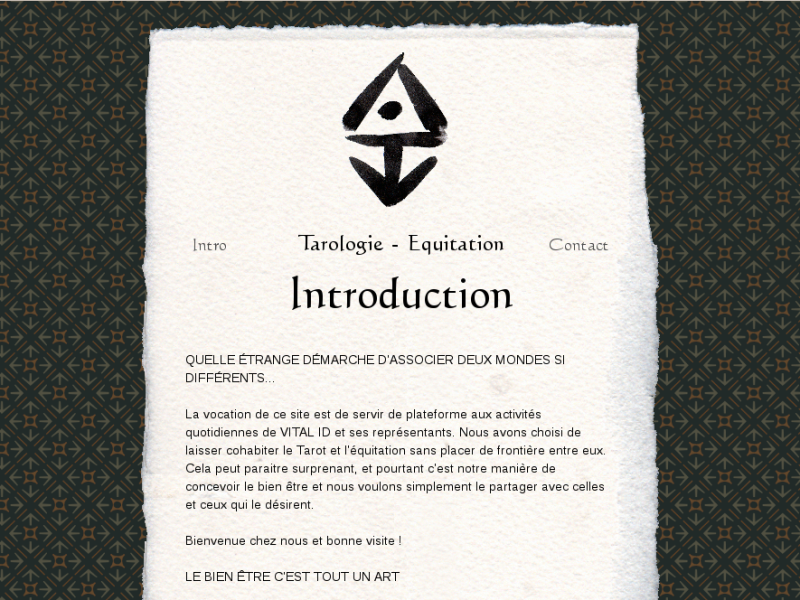 The texture in the background is a reminder of the business/tarot cards.